So, Russell Brand’s interview on Newsnight and New Statesman editorial has caused an awful lot of brouhaha, and I’d kind of like to join in. I find a lot of what he has to say on the subject of voting not only wrong but actually quite offensive. His assertion that my grandparents’ and great-grandparents’ generation were “conned” in fighting for the vote is simply factually not true, unless you consider the welfare state, universal education and a national health service to be a “con” (as far as I’m aware, Russell Brand is not an Ayn Rand aficionado). The fact that we’ve just lived through the deepest recession since the Great Depression and not seen the level of starvation and grinding poverty that destroyed people’s lives in the 1930s suggests that, for the most part, democracy has actually worked out quite well for most people in a lot of ways. Combine that with Brand’s obvious hypocrisy (opting out of the political system he despises while very much opting into the capitalist system which he claims to equally hate – yet very much profits from) and casual misogyny, and you have a pretty loathsome end product. Instead of miscrediting Billy Connelly with the quote “don’t vote, it encourages them,” just once I would have liked to see him engqge with Gandhi’s equally miscredited “be the change you want to see in the world” – it is all very well calling for a revolution of the mind, but if that’s where it stays, what is the point? Here’s the thing though. Siding against Russell Brand means siding with an awful lot of rather distasteful people. I might not agree with his prescription, but I agree with a lot of the sentiment and many of the people whose pious critiques of Brand’s position I’ve read over the last few days have been the very people who I think are part of the problem. Piously telling Russell Brand that he’s wrong is one thing, but if you’re one of the people who subscribes to the view that the current voting system is fine and dandy, and that your political party should be slavishly attempting to fix itself in the centre ground, or jump on whichever populist bandwagon which might get you the next short term voting fix, then you actually have less credibility than he has. Voting and political engagement can make a difference, but in spite of such people not because of them. Most people in the political establishment are not democrats, but rather technocrats who spend their time actively seeking ways to shut down public debate, not open it up. And voting, especially for young people, is a bit of a prisoner’s dilemma. For individuals, voting is a cost in time and effort. It’s only if a critical mass of a certain demographic start voting that they are likely to make an impact, and no-one knows in advance how many people it will take (especially with our broken and random single member plurality voting system). If like me you voted in 2010 in the hope that we were on the verge of seeing a fundamental shift in voting patterns, you can understand why it is hard for people get their hopes up that they are a part of something bigger. The benefits of democracy are indirect, long term and fundamentally collective. It is ironic that a self-proclaimed lefty such as Russell Brand can’t get beyond the very individualist and consumerist mindset that he claims to want a cultural revolution to overthrow, but he is by no means alone. And the political establishment has done nothing but encourage precisely this mindset over the past 35 years. The fact that Brand and so many other wannabe revolutionaries are creatures of this atomisation of society may suggest that their ideas are not so radical after all, but it ought to give the establishment pause for thought because it has the potential to cause them a lot of problems. Young people aren’t voting. More than that, it seems to me that an entire swathe of young people are effectively opting out. It’s no surprise as they are being systematically shut out of the economic system. Mainstream politicians are obsessed with forcing them to run in ever decreasing circles trying to find jobs which don’t exist, only to find that even if they succeed in that they will have none of the economic security that their parent’s generation take for granted. When I was turning 30, I was in a minority in my peer group of people who didn’t own their own house (admittedly, most of whom were dependent on their parents’ for support); now I don’t personally know anyone under 30 who owns property. I can however tell you tales of people forced to move out of their over-crowded HMO because the landlord insisted on putting the rent up by an exponential amount and the stress that substandard housing and long term unemployment is causing people. All of this amounts to a massive deal for our society, yet if you take a gander on Twitter, you won’t find many mainstream politicians talking about it at all. Instead they are determinedly issuing blandishments with hashtags such as #ForHardWorkingPeople, #StrongerEconomy or #FairerSociety and, urgh, #coalicious. 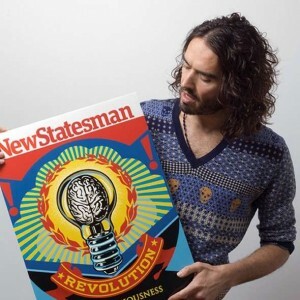 In Paul Mason’s response to Russell Brand’s intervention, he predicts that we will see increasing social unrest over the next decade. It isn’t a new prediction; the BBC produced a documentary 10 years ago saying broadly the same thing. Such dire forecasts don’t have to be 100% correct to be a cause for concern and it certainly looks to me as if we are starting to see signs that it could be happening. So, ultimately, it isn’t enough to dismiss Russell Brand’s views. If an idiot child starts proclaiming that the emperor has no clothes, expending so much energy to point out that, in fact, he is wearing an extremely snug bright pink thong is to badly miss the point. After the nightmare that was Vote Match Europe, this one was comparatively plain sailing (on the launch of the Europe version I was still trying to make it work five minutes before Stephen Fry started promoting it at the launch). Nonetheless, I’m desperately in need of some sleep. Please spread the word and give us some linky love. I got not one but four annual reports in the post today by my MP Andrew Dismore, with the promise of a basketful of others if I can claim to be jewish, chinese, tamil, cypriot and a bunch of other ethnic communities (Labour corporatism is alive and well). In fairness to him, his reports are quite comprehensive and, as he is not shy in emphasising (not that I can see any of his constituents caring), he has eschewed the glossy-photo-zero-content approach that MPs of all parties frequently adopt. But it does raise the issue of the MPs’ Communications Allowance, introduced last year, and whether it is a good use of taxpayers money. There have been two other examples of this allowance being spent which have got me thinking. The first is the Emily Thornberry debacle which I highlighted yesterday. The second is Peter Hain’s website which Mark Pack was having some fun with on Lib Dem Voice. All three of these examples are Labour, but I’m really not making a party political point here. Firstly, La Thornberry has been forced to repay the Serjeant-at-Arms for the cost of the stationery (sic) she used. But those funds could come straight out of the Communications Allowance. That is certainly inconvenient, but it is hardly a major punishment for abusing the system and getting caught. Learning this, most MPs will learn the lesson that they might as well try it on. Even if they only get away with it 50% of the time it will still be worth it so long as they manage their Communications Allowance carefully. Secondly, Hain. Back when Jack Straw was making the case for the Allowance, he argued that it would be necessary in order to enable MPs to better communicate with their constituents online. That seemed bogus at the time, and Hain’s website demonstrates what nonsense it was. It has much less functionality than the average Blogger account, and yet he boasted that â€œI have tried to make it possible for you to add your own viewsâ€ – a feature which amounted to a facility allowing visitors to send him an email. Some web designer has been paid what one guesses must be a tidy sum for coming up with this fairly useless website at taxpayers, all in the name of “improving communications”. If Hain had been forced to use MySpace, for free, he’d have ended up communicating with more constituents (a point which Adrian Sanders proves every day). Thirdly, back to Dismore. While his report is fine per se, it does epitomise everything that we always feared the Communications Allowance would be used for. It is incumbency protection, pure and simple. It enables the MP to issue a report to constituents completely on their terms and unfiltered by the media. You can be sure that if Dismore felt the glossy-photo-zero-content approach would have been better for votes, he’d have adopted it unapologetically. Whenever you mention this fact, MPs, especially Labour MPs, start screaming “Michael Ashcroft! Michael Ashcroft!” I would personally be happy to cap all major donors like this – and limit trade union funding as well – but I have no problem in principle with political parties using donations from individuals for campaigning. I also accept that there is nothing wrong in principle with MPs having regular ways to communicate with their constituents. But just as we don’t allow a government minister to make a statement to the Commons without the opposition having a right to reply, shouldn’t we allow political rivals in constituencies to reply when MPs issue their reports? Here’s my proposed solution. Scrap the Communications Allowance completely. Instead, twice a year the local Elections Officer will preside over the sending out of an MP’s report. Not dissimilar to the information packs that get sent out for mayoral elections, the MP would have, say 4 pages in this report completely under his/her control in which to make his report, followed by another 4 pages that the party which came second could use to respond (and yes, that would probably involve promoting their candidate! ), followed by 2 pages each for the parties that came 3rd and 4th respectively. Parties would of course be free to include things like membership forms and links to their websites for more information. The Elections Officer could use the pack to include other things such as the recent election results and the electoral registration canvass (which they have to send out anyway). There would be several advantages to this. Firstly, if the MP just produced a content free puff piece, his rivals would be able to make that point in no uncertain terms. Secondly, coming second, third and fourth in an election would matter, which would (marginally I admit) encourage more competition. Thirdly, it would be relatively cheap, especially if it could be incorporated with existing commitments such as the canvass. Fourthly, the money wouldn’t go to parties directly and the cost would thus be equitable on a per-capita basis – one of the big problems with other systems of party funding, particularly the money-per-vote system recommended by Hayden Phillips, is that parties can target that money and thus use it to exaggerate the already considerable biases in the system.